Coal shipments from the Port of Gladstone in Australia rose to a 22-month high in October on a strong lift in exports bound for India and South Korea, data released by the Gladstone Ports Corporation on Tuesday showed. 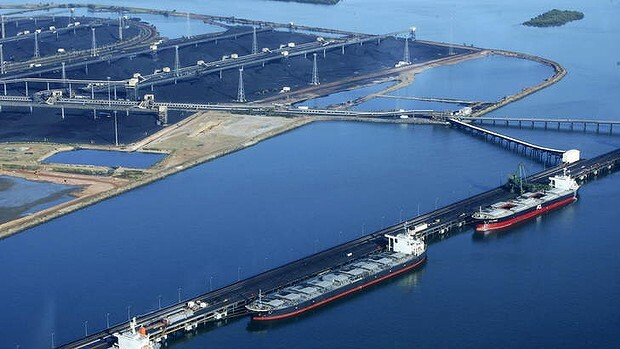 A total of 6.69 million mt of coal was shipped from the Queensland port in October, up 10% year on year and 16% from September, the data showed. About 70% of the coal handled at Gladstone is metallurgical coal, GPC said. Over January-October, the port shipped out 55.68 million mt of coal, which means an annualized rate of 66.85 million mt. If Gladstone's coal exports remain at this rate for the rest of the year, however, it will be the lowest volume of exports since 2013 when they stood at 62.74 million mt. Exports peaked in 2015 at 72.09 million mt, the data showed. Last month, the Department of Industry, Innovation and Science forecast Australia's total metallurgical coal exports at 180 million mt, up from 173 million mt in 2017. Gladstone's coal exports were considerably weak in the first four months of the year amid some rail issues. Meanwhile, shipments to India from Gladstone surged to 1.77 million mt in October, up 70% year on year and 7% month on month, GPC data showed. India is forecast to be a key importer of metallurgical coal as its domestic steel sector expands, but Australia has experienced some loss in market share, the Department of Industry, Innovation and Science said last month. "Australia's share of India's metallurgical coal imports has declined from around 90% in the March quarter of 2017 (just before Cyclone Debbie) to 75% in the June quarter of 2018. India's steel mills have increasingly turned to the United States and Canada as an alternative source of supply, as a result of high prices and disruptions to Australian supply, particularly after Cyclone Debbie in 2017," it said. Exports to South Korea stood at 1.24 million mt in the month, down 56% from a year earlier but up 68% from September, GPC said. South Korea's total metallurgical coal imports are expected to be steady this year at 36 million mt, the department said. The largest recipient of coal exported from the Port of Gladstone was Japan at 1.75 million mt, down 17% year on year and steady from 1.74 million mt in September, GPC data showed. Exports to China were 973,000 mt in October, down 20% from a year earlier but up 21% from September. Shipments to Taiwan at 177,000 mt were up 26% year on year but 33% month on month. Other recipients of coal shipped out from Gladstone port in October included Brazil (233,000 mt), the Netherlands (225,000 mt), Switzerland (75,000 mt), and Vietnam (156,000 mt). About 101,000 mt was due to end up back in Australia, according to GPC data.